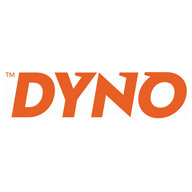 "Promt And Explained What Was Required With A Quote"
"Just Got On With The Jobtried To Fix It But Needed A Part Nothing Was To Much Trouble"
"Everything, Clean, Efficient, Friendly & Knowledgeable"
"Spotted Problem Quickly Saved Me Money"
"Stuart From Dyno Was Excellent... Friendly, Professional And Sorted The Problem Quickly. He Is A Credit To Dyno"
Need a Drainage Engineer, Heating Engineer or Plumber in Liverpool?